Connect a Slimline SATA optical drive to a standard SATA motherboard connection. This cost-saving Slimline SATA to SATA adapter lets you connect a Slimline SATA optical drive to a standard SATA motherboard connection. The adapter features a Slimline SATA connector on one side and a standard SATA data connector on the other; power is drawn through a power supply floppy drive (SP4) connector, combining both data and power into the optical drive Slimline SATA connection. 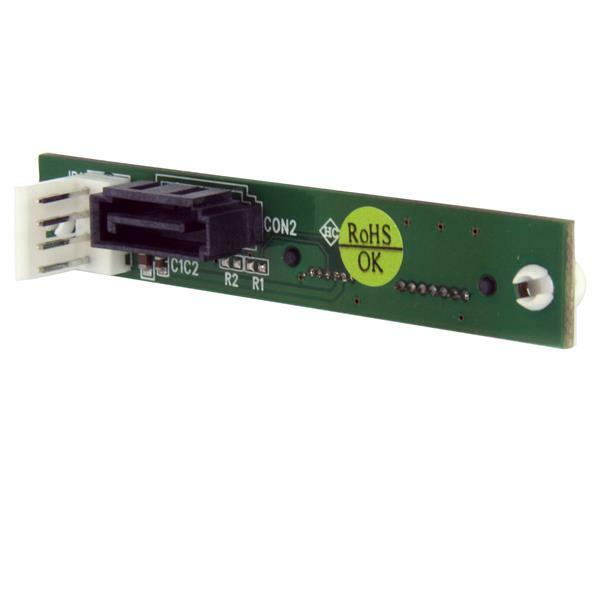 The adapter features a PCB-mounted design that can be securely fastened to the optical drive, eliminating loose connections. 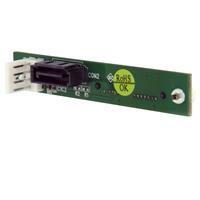 The Slimline SATA to Standard SATA adapter is backed by Lifetime Warranty and free lifetime technical support.